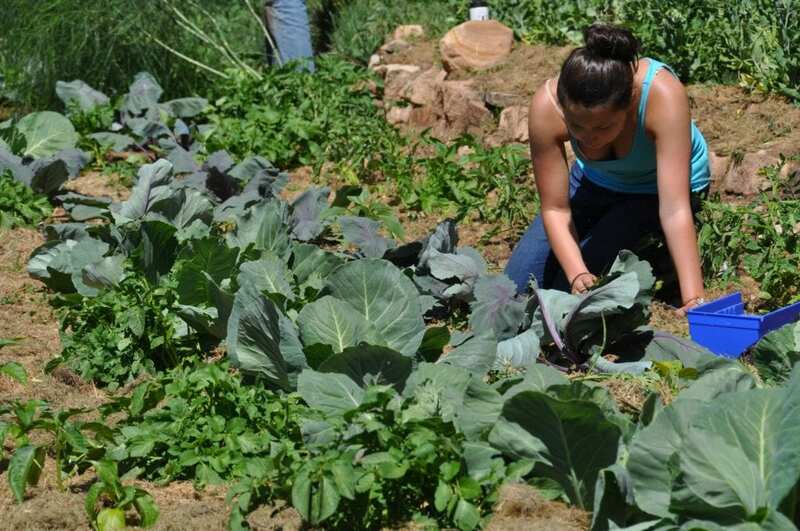 The Agroecology Research Center (ARC) is a 20 acre piece of land adjacent to campus where students and faculty work together to grow some of the produce consumed in the Dining Hall. 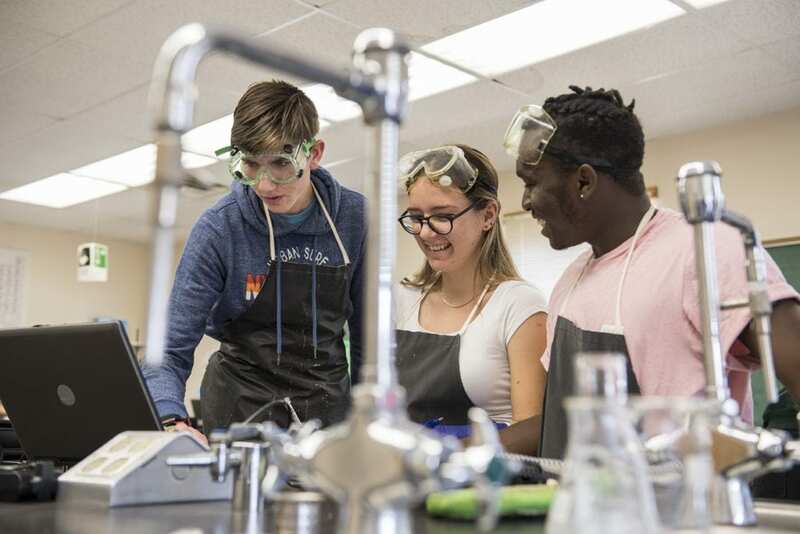 The ARC also serves as an important place for students to conduct experiments for their academic classes. Past research has included soil sampling, decomposition, and plant varieties in arid climates. The Welcome Center is home to our security staff. Visitors to our campus stop at the Welcome Center for a visitor’s badge and directions for parking when they arrive. For concerts and events, the staff at the Welcome Center will help direct visitors to the best parking depending on which venue is being used. 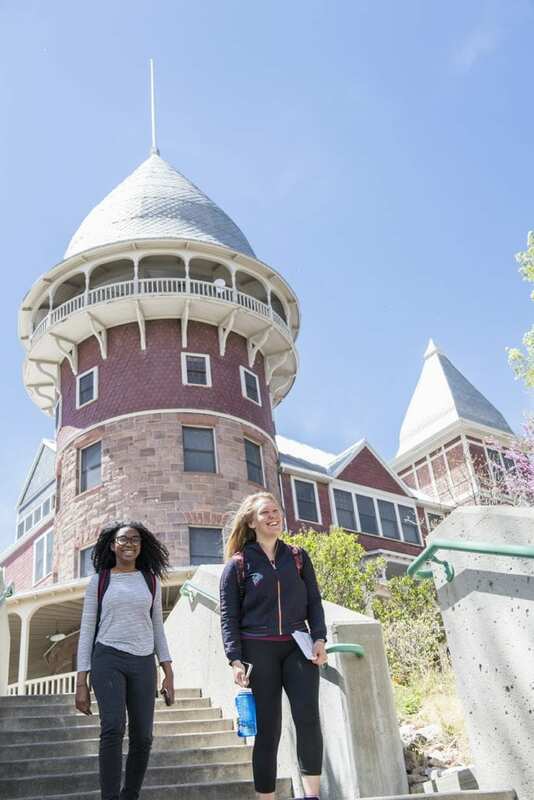 Student housing is split between the Castle and the four resident houses on the lower campus. 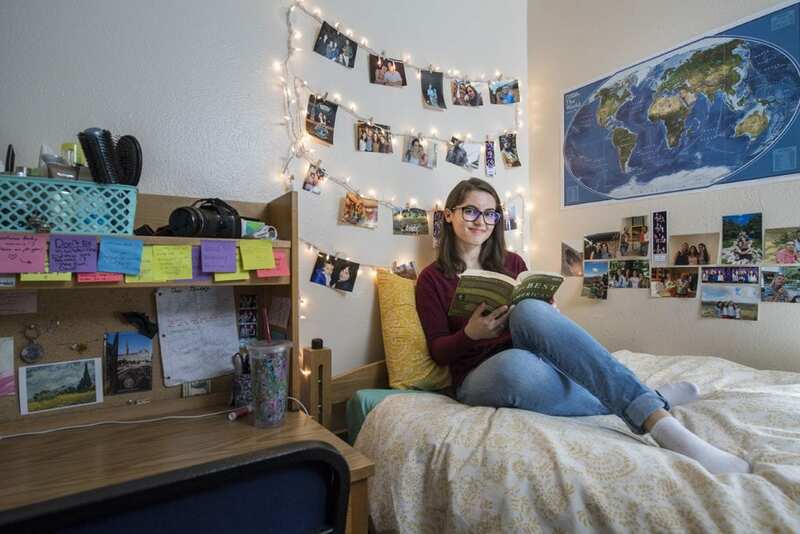 Students typically live in rooms that sleep two or three. The Kluge Auditorium seats over 400 people and is where our community meets for Forum every week, guest speakers present, and performances are held. 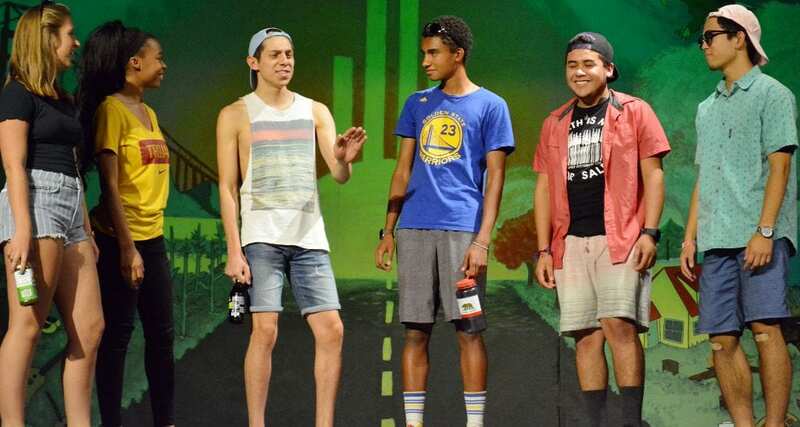 Three times each year the entire Las Vegas community is invited to a two-hour cultural day performance featuring skits, songs, and dance from one of six regions around the world. 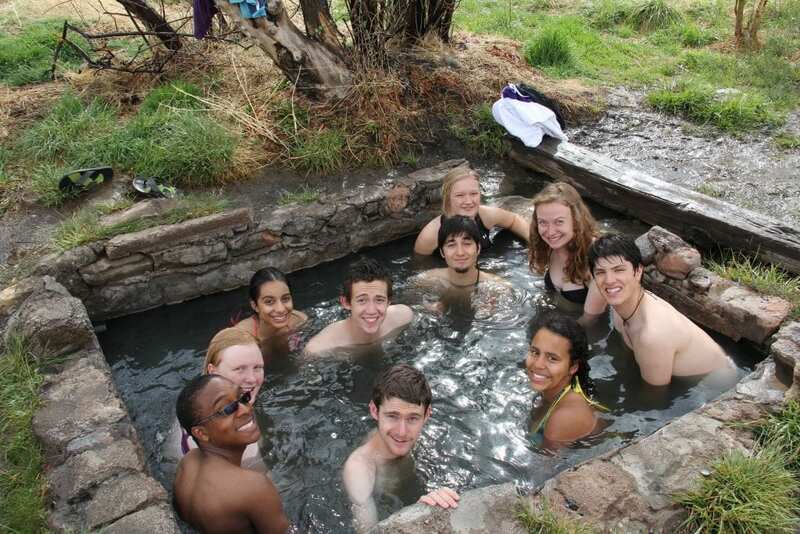 The Montezuma Hot Springs are on the UWC-USA campus and are also open to the public. 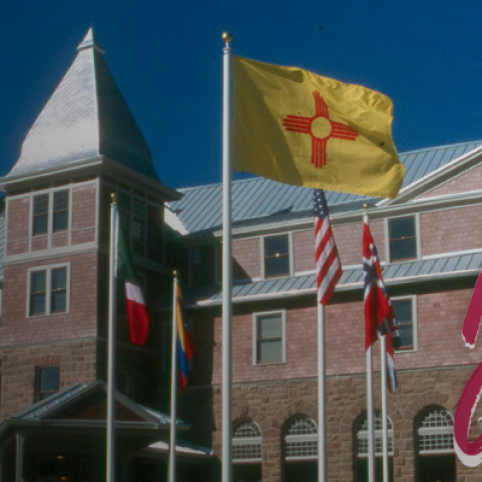 There are a number of pools of varying temperature that were the original reason that the Old Stone Hotel and Montezuma Castle (then the Montezuma Hotel) were built. Students are welcome to use the hot springs. 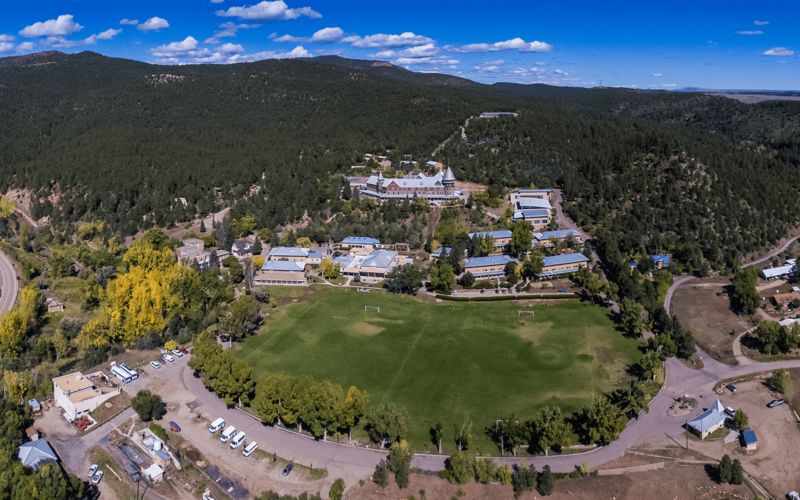 Home to many of our academic classrooms, the Lockwood Library, and some administrative offices, The Old Stone Hotel was originally a hotel used for visitors coming to the Montezuma Hot Springs which are located just across the Gallinas River. Campus tours led by students begin here during select Saturdays during the school year. The Zeinal-Zade science building is home to our biology, chemistry, computer science, design technology, environmental systems, physics, and sports exercise and health science classrooms and labs. 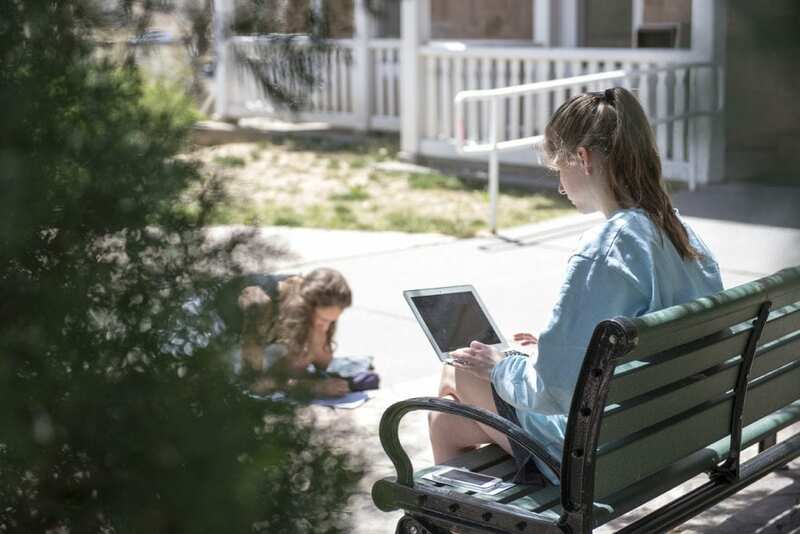 The porch of Sasakawa House is a favorite gathering place for students on sunny days. 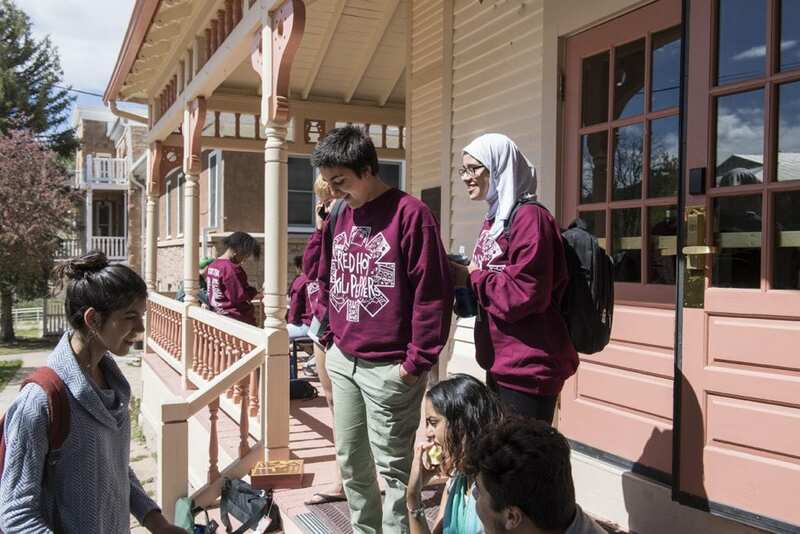 The building is home to our experiential education staff and is a meeting place for smaller gatherings of students and community members. 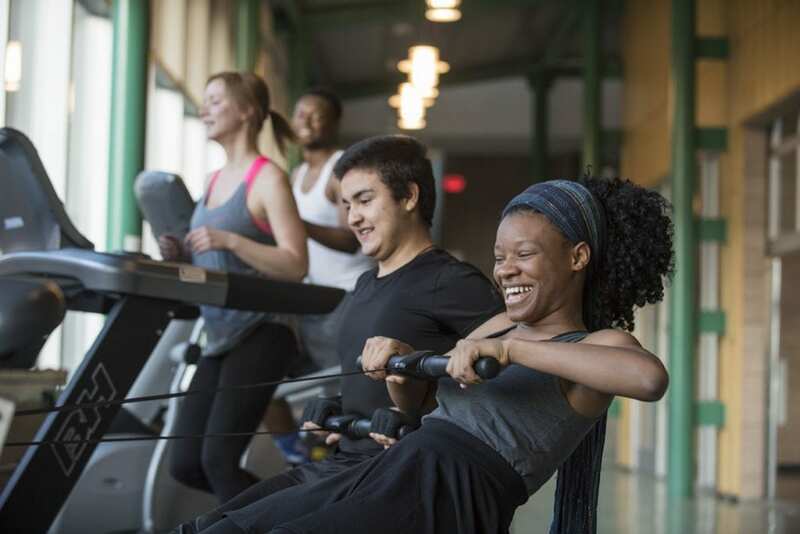 The Lansing Field House features a gymnasium, squash courts, weight and cardio machines, a climbing wall, dance studio, and locker rooms with showers. The Student Center hosts dances, presentations by speakers, and is a comfortable place where students relax. 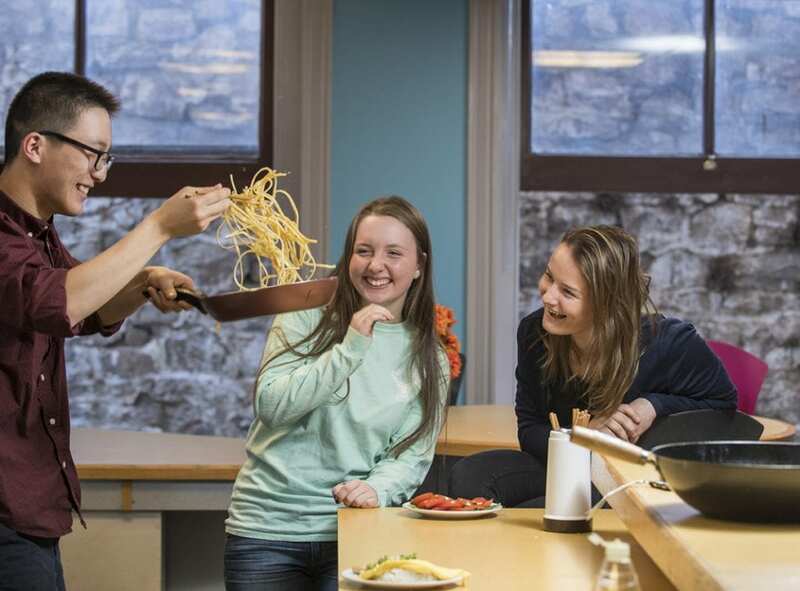 It has a stage for performances, pool and foosball tables, and a full kitchen where students can cook meals. 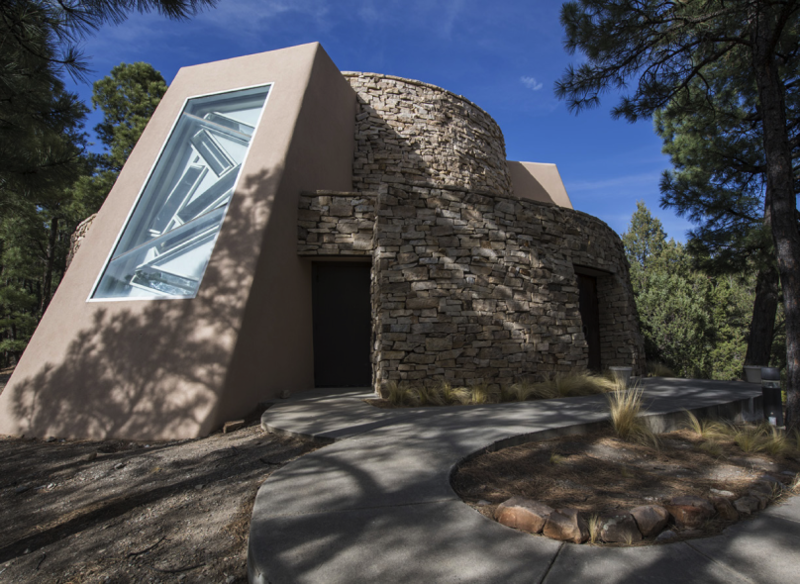 Located in the Montezuma Castle, the campus Dining Hall is a place where students and faculty eat meals together, meet for study sessions, and enjoy performances. 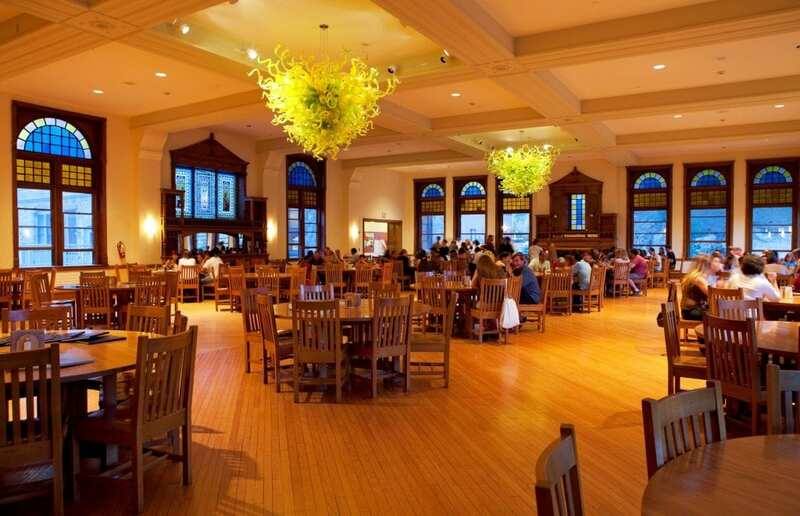 The Dining Hall boasts two magnificent Chihuly chandeliers. 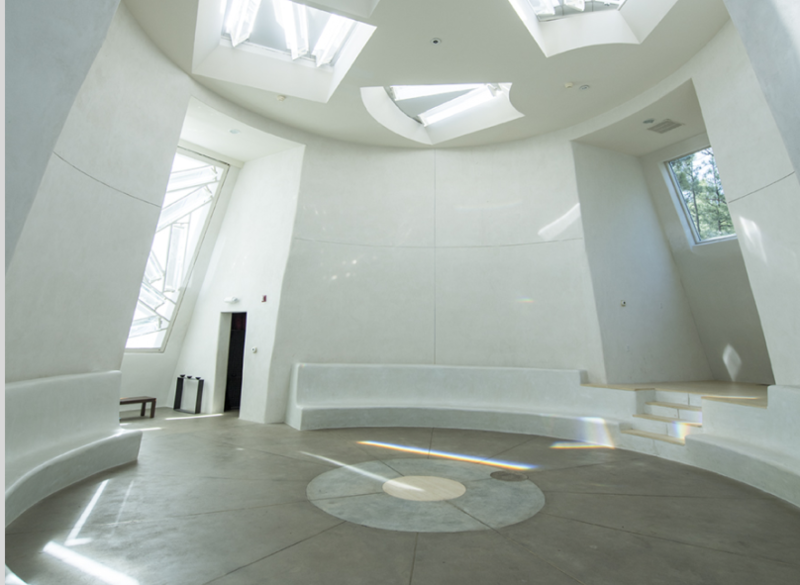 A gift from Virginia Dwan, the Dwan Light Sanctuary provides all members of the community a place to reflect while enjoying the playful light and prisms.